LOVE these! 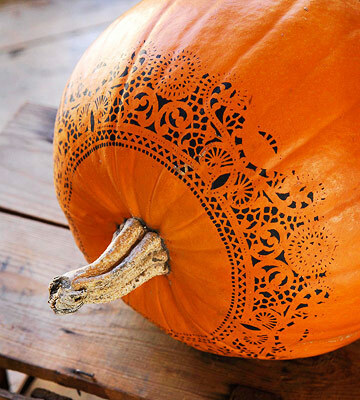 Great for a costume or to compliment any of your October outfits. Usually around the second weekend in October I drag my husband to the local pumpkin patch to pick some out to carve and then by Halloween they are rotten. This would be such a great solution for month-long decor without the mess! No-mess pumpkin decorating idea using puff pant. I wonder if this would work with cloves as well. 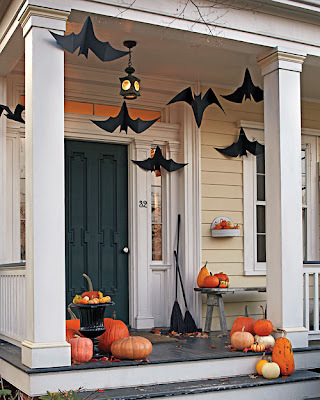 These cute bats are made from thick black paper using a tutorial from Martha Stewart's website. How easy and chic! 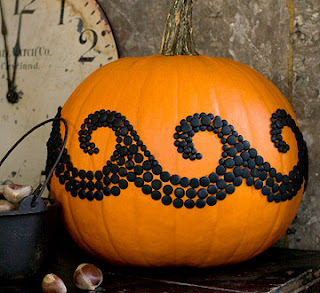 Another no-mess pumpkin idea. 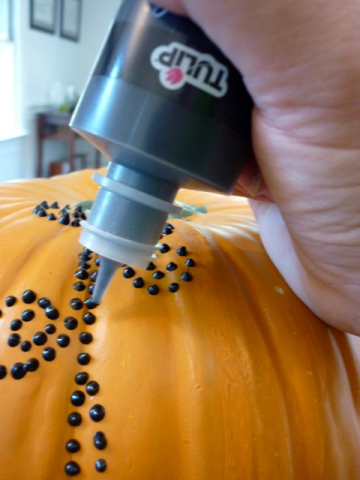 You could even try this technique on a foam pumpkin and use year after year! P.S. If you haven't entered the Better Homes and Gardens "Guest-Ready For Less" $100 Wal-Mart Giftcard Giveaway! Click here to ENTER NOW!